2 Hr. Private Only! "World Famous"
FIRST TWO GUEST "FREE" INCLUCDED - ADDITIONAL GUEST $50.00 ADULTS $25.00 CHILDREN! TOTALLY PRIVATE ONLY YOU AND YOUR GROUP ON THE BOAT! 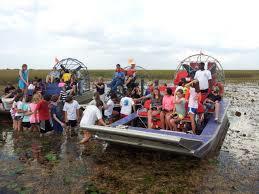 Copyright © 2014-2015 Airboat USA.